The Supreme Court today cancelled the bail application of Satyam Computers ex-official Subramani Gopala Krishnan. A bench comprising Justices P Sathasivam and B S Chauhan also cancelled the bail of another accused who was allegedly involved in the Rs 14,000 crore scam. The apex court today allowed the appeal of Central Bureau of Investigation (CBI) against the order of Andhra Pradesh High Court who had granted them bail. 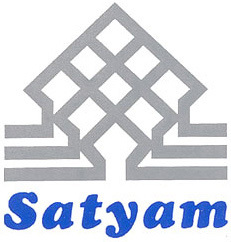 The apex court had earlier dismissed the review petition filed by former Satyam Computers Chairman B Ramalingam Raju, his brother D Ramaraju, ex-MD of Satyam and three others challenging the orders cancelling their bail. The accused persons are facing allegations of defrauding large number of investors of their hard earned money through manipulation and forgery of the accounts of the company to create a false impression among the investors that the company is financially sound while the real position was that IT was in the red. Raju had also allegedly transferred huge amount of funds to his son's company fraudulently.